Jasper’s grounding traits come from its connection to the earth. 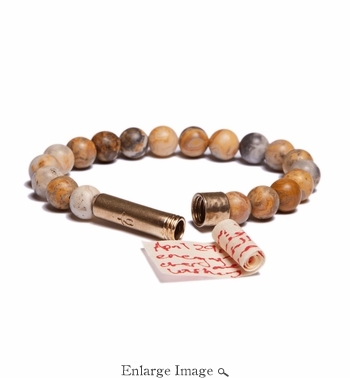 Its properties include manifesting strength, courage, and wisdom. Jasper encourages reflection and connection: reflecting on one’s feelings and emotions creates the space to nurture oneself while the stone’s focus on connection grounds us, both to the earth and to one another.